Here’s one I haven’t photographed before. 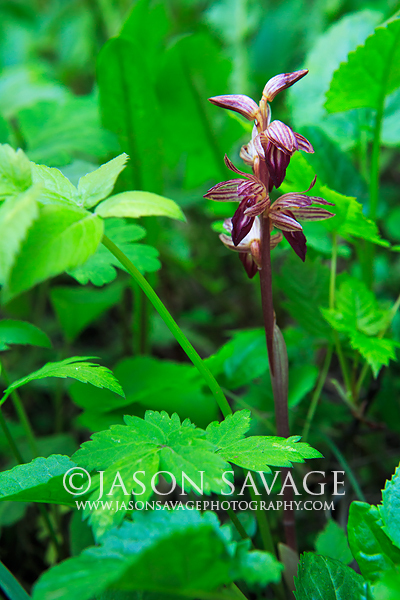 This is striped coralroot, found on the Rocky Mountain Front on Sunday. Interesting orchid in that it contains no chlorophyll, lives off decaying plant matter in the soil, and gets it’s nutrients through a fungus. Thanks to Connie on our workshop for locating this one!